In a normal, healthy eye, the cornea is round. With astigmatism, the cornea is oblong (“squished”), which produces distorted vision. Notice how the corneas slope down towards the nose. As an aside, it was quite difficult to find that there exists a common axis of astigmatism because modern science loves to have us believe that we are all unique snowflakes and thus all 360 degrees occur with equal incidence. Well, knowing that a common axis of astigmatism exists is very important if you ever wanted to find the truth about astigmatism. I hypothesize that astigmatism is caused by an extremely-tight (i.e. “contractured”) corrugator supercilii muscle. The depressor supercilii muscle is also likely responsible because it is nearly identical in function. The function of the corrugator supercilii muscle (and depressor supercilii muscle) is to bring the eyebrow down and towards the bridge of the nose, a.k.a. “mean mugging.” This band of muscle lies beneath the orbicularis oculi muscle. The orbicularis oculi encircles the eye and is the primary muscle used for squinting (to limit the amount of incoming light). 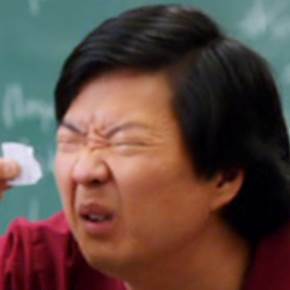 It’s also possible to use the corrugator supercilii to squint, however, and therein lies the problem. On the left is squinting with the corrugator supercilii. On the right is squinting with the orbicularis oculi. Note the difference in eyebrow shape. The dotted lines denote the position of “contractured” corrugator supercilii muscle. 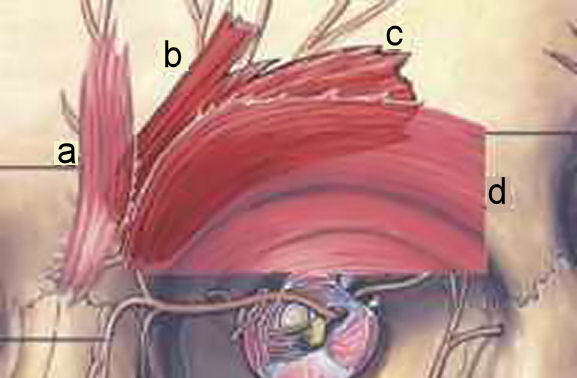 A “contractured” corrugator supercilii muscle now applies pressure to the surface of the eyeball whenever intensely blinking, squinting, or yawning. Eventually, this should reshape the surface of the cornea into what we know as astigmatism. The extremely-tight corrugator supercilii muscle fibers have a 20° angle from the horizontal. This can vary by +/- 10° due variance in muscle origin and insertion positions. There are two ways to recognize a tight corrugator supercilii (and thus astigmatism) from the naked eye. 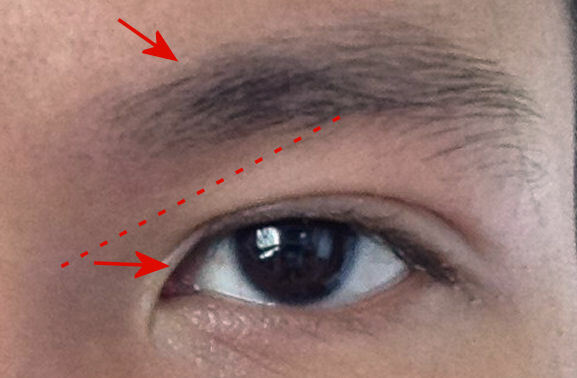 One way to tell is that eyebrow hair directly atop the corrugator supercilii area is darker and more numerous than hairs at any other part of the eyebrow. The reason for this is a bit complicated: the corrugator supercilii becomes muscularly developed, which causes forward protrusion. It is this, in conjunction with my hypothesis on hair growth, where one of the causes of hair growth is where friction is expected to occur. 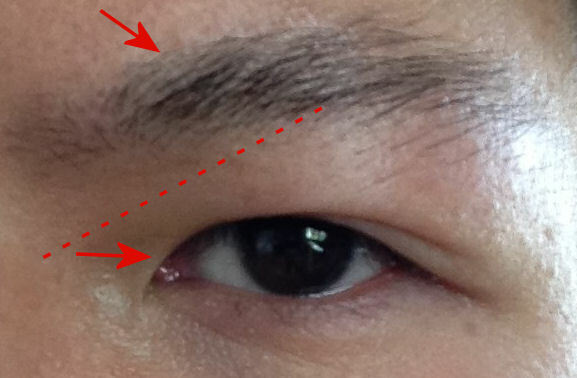 The second way to tell is that the inside corner of the eye appears inharmonious: at this corner, the upper eyelid appears to abruptly slant downward and overtake the lower eyelid. Corrugator supercilii muscle contractures can be prevented by not using the muscle with frequency or intensity. 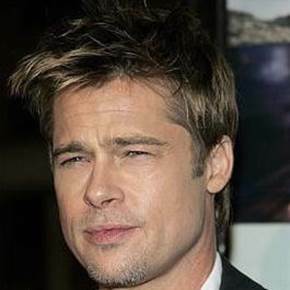 Learn how to squint like Brad Pitt rather than Señor Chang. Most scientists believe that once a muscle has stiffened and shortened, though, it is past the point of no return. Personally, I have extremely tight corrugator supercilii and depressor supercilii muscles—I’m talking 99.99th percentile. Why? It’s a long story and extreme lifestyle. This may have helped me in discovering the cause. Through personality experience, I can say that massaging the corrugator supercilii muscle is quite difficult because it’s a small and fragile area and the muscle is deeply situated (behind the orbicularis oculi). Injecting Botox in the corrugator supercilii muscles (to ensure muscle atrophy) is probably the best solution, and actually already performed, albeit for cosmetic reasons. 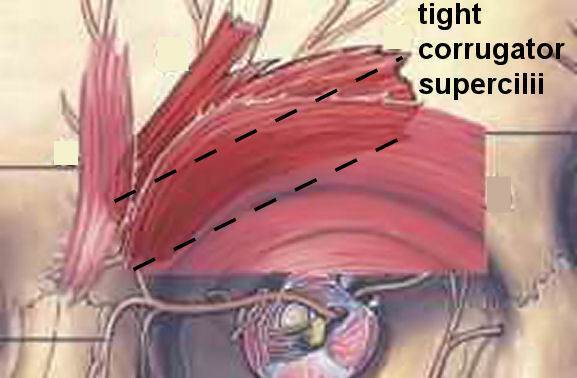 Fixing corrugator supercilii muscle tightness will not reverse astigmatism, however. The eyeball will remain misshapen. This is akin to how an elongated, myopic eye cannot return to perfect vision.